or just stroll in the city and absorb the rich cultural and architectural heritage. The expert guides tell you everything about the major sights and their historical, cultural background in several foreign languages. Guided tours last approximately 1 – 3 hours. Photo-stops are included. 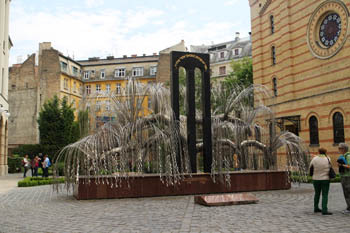 the Raoul Wallenberg Memorial Park with the Tree of Life. 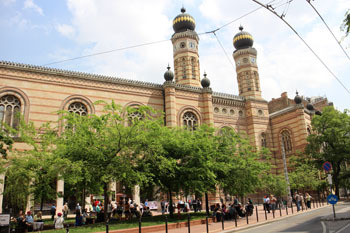 On the two longer tours (Grand and Expanded Grand) you will also explore the former Jewish quarter of the city and two other Budapest synagogues (in Rumbach Street, and in Kazinczy Street). The tours are held from May 1 till October 31., and between 02.-30. November 2015. see exact dates on the linked pages below. All entry fees are included. TIP: We recommend one of the following guided tours if you want to learn about the history and the most beautiful monuments of the former Jewish Quarter. You can select from two tours: a shorter and a longer, more detailed one. If you come here for just 1-2 days and you’re short on time to do a lot of sightseeing, take a ride on tram No. 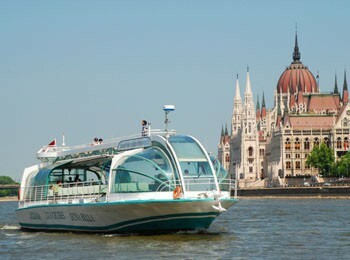 2 that travels along the Danube embankment in Pest. 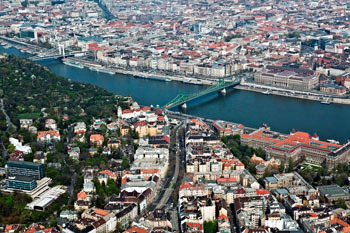 You’ll see the most notable Budapest attractions and the breathtaking panorama. 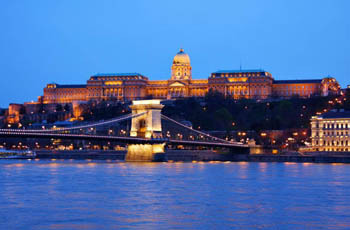 The most scenic section of the route is the Danube Promenade between the Chain bridge and Elizabeth bridge. It costs only a single ticket (350 HUF), or two if you plan to do the return trip. 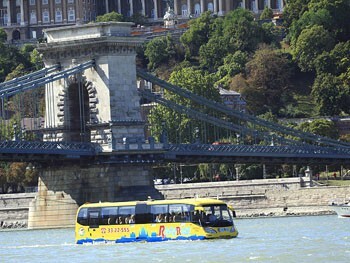 The Time Out Budapest guide claimed it to be “The second most beautiful public transport ride in Europe” (the first place goes to Venice). 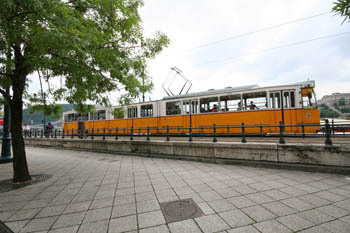 The tram rides between Jászai Mari tér and its Közvágóhid terminus near Rákóczi Bridge. the Castle Hill towering in the background opens up to you. The Fishermen’s Bastion and the tower of Matthias Church are the two dominant sights of the Castle District that you can see from the tram. Of course you’ll see most bridges of Budapest, starting with the oldest one, the Chain Bridge (Széchenyi Lánchíd). Then comes the graceful Elizabeth Bridge (Erzsébet híd), the massive cast iron Liberty Bridge (Szabadság híd), Petőfi Bridge and the last one is the red Rákóczi Bridge. and the Gresham Palace (the Four Seasons chain operates a luxury hotel within its walls). 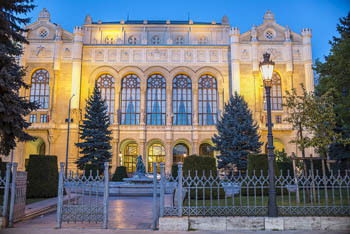 The next noteworthy sight is the newly refurbished, eclectic Vigadó Concert Hall at Vigadó tér. 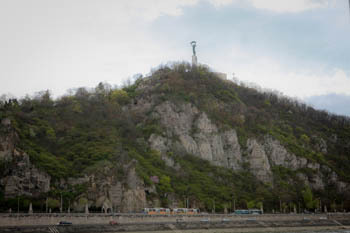 The white cliffs of Gellert Hill with the Statue of Liberty on its top rises above the Danube with the Gellert Bath and Hotel at its foot in Buda, while you pass the Central Market Hall of Budapest at the Pest end of Szabadság híd. the Palace of Arts with the Béla Bartók Concert Hall next to it. See also a guide to sights in the city centre. 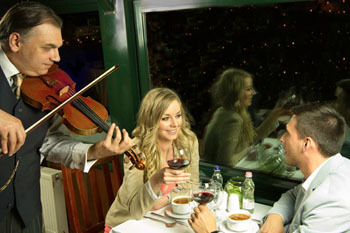 Nothing beats a cruise on the Danube, especially when the experience is heightened by a romantic atmosphere of a candlelit dinner, surrounded by the friendly lights of the Danube capital. An air-conditioned ships will take you on a one-and-half-hour-long sightseeing excursion where you can enjoy live music and excellent warm buffet-dinner. In the romantic candlelight you can enjoy the wonderful view of the city swimming in light. After dinner you can also admire the panorama from the open upper deck of the ship. The program is also available without dinner. If you book it only with drinks, you can enjoy the beautiful night panorama over a glass of champagne, and another glass of soft drink, wine or beer. 1. Boat Tour with Buffet Lunch – from 14.00 till 15.30- meeting is at the ticket office of the Duna Palota (Danube Palace) at 5., Zrínyi utca, V. district. at 13.30 the latest. Price with lunch: 36 EUR, Student: 33 EUR. 2. Night Cruise with Dinner – see the city illuminated at night. The night tour starts at 22:00 and lasts till cc. 23.30. Meeting time is 21:30 on the place of that days performance (Danube Palace or Budai Vigadó). Full Price with dinner: 42 EUR, Student: 39 EUR. 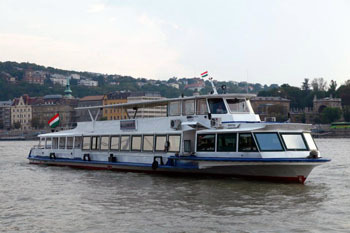 See more on Danube Cruises in Budapest. The daytime program is 70 minutes long with audio guide in 30 languages. You’ll be treated to a glass of drink of your choice (champagne, wine, beer, soft drinks, mineral water), and a glass of lemonade. You can choose the tour with a 1.5 hour walk on Margaret Island. Prices: daytime tour: full price: 4 500 HUF (3 500 HUF from March to October), student: 3 500 HUF, children (10-14 years): 2 250 HUF, under 10: free. Tour with Margaret Island walk (with discounts on services on the island: bringo cart rental, 10 % at the cafe, restaurant of the Grand Hotel, 10 % spa ticket to the thermal hotel): full price: 4 500 HUF, students: 3 500 HUF, children (10-14 years): 2 250 HUF, under 10: free. Evening Cruise: 1 hour long sightseeing, film and audio guide in 30 languages, a glass of drink on board of the boat. Price: full price: 5 500 HUF, student: 4 400 HUF, children (10-14 years): 2 750 HUF, under 10: free. 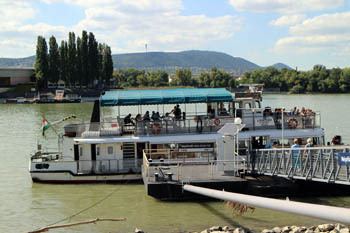 The water bus service between Boráros tér (Petőfi Bridge, Pest end), and Rómaifürdő in Óbuda by the city’s public transportation company (BKK) is probably the most affordable boat tour in Budapest. Three scheduled boat services run from mid-March till end of October, and one in the low season. Note: On weekdays Budapest passes, travel cards are also valid for a boat trip, on weekends you can use only the single ticket. TIP: Travel on Snow White/Hófehérke, a 19-century heritage boat that operates on Saturday afternoons between May – end of September. 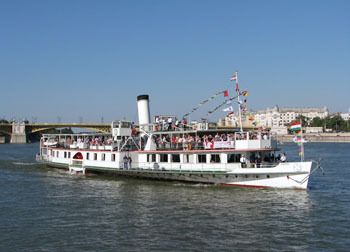 The 121-year old Snow White is the oldest among boats carrying passengers and one of the last of the classically built engine boats once travelling the Danube. The 45-minute tour lets you see the magnificent landmarks on the banks of the river between Margit Bridge and Erzsébet bridge. Departure times from Petőfi tér: Saturday: 14.45, 16.15, 17.45. Tickets: full price: 500 HUF, children: 300 HUF (can be purchased on board the ship). 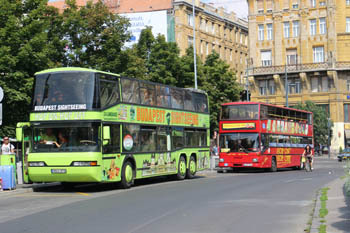 Bus sightseeing programs are very popular in Budapest: from hop on hop off to unique water bus tours. 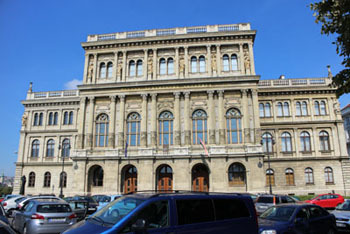 The exciting ride departs from the Pest end of the Chain Bridge, at the National Academy building, shows the important places in the inner city then slips into the Danube in northern Pest on a special ramp. The vehicle looks a bit flimsy on the river, but the driver operates it with ease and it is perfectly safe to travel on it (there are lifejackets under the seats, 9 emergency exits, trained staff). The 2-hour trip ends at the Chain Bridge, Pest. Price: adult: 8 500 HUF, children (6-14 yeras of age): 6 000 HUF, free for kids under 6. City Circle Sightseeing: 24-hour validity, 9 stops: Price: 23.0 EUR (includes discounts to a range of sights, museums, cafes, restaurants along the route). The city, especially the centre, has just the right size to be explored on foot. Besides the Jewish heritage tours listed above there are some other walks you can take while you are here. 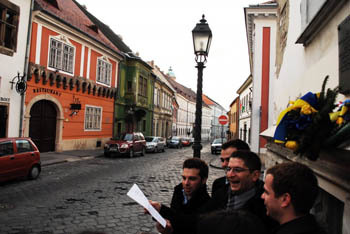 TIP: see our Buda Castle walk with Itinerary map or a walk tour suggestion in downtown Budapest. 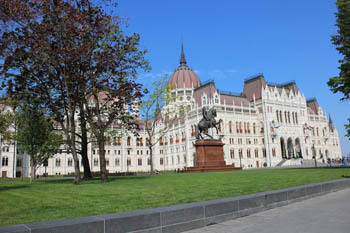 Andrássy ut, a Parisian style boulevard from the Basilica to Heroes’ Square is also a great place for a leisurely stroll. You can also pick from a wide variety of alternative tours if you want to see the so-called hidden treasures, sights even most locals don’t know about. tempt you with culinary delights. Recommended alternative tour organiser: Underguide. the other in the Pest side every day at 10.00, departing from Molnár’s Kürtöskalács Cafe, Váci Street 31., district V.). TIP: Besides the two complimentary tours the city card offers numerous discounts on ticket prices to a wide range of sights and attractions (museums, baths, monuments etc.). Free travel on public transport is also included. The Budapest Bike Breeze is a dedicated team of two cycling enthusiasts who love Budapest and know lots of things about its history and attractions. They offer some very good-value tours in English, in and outside the city. The “breeziest” tour is 2.5 hour long exploring the major sights in the Pest side that ends with a fröccs/spritzer in a local pub. Tour dates & time: every day at 16.00. 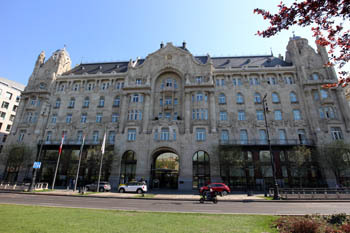 The tour is 4.5 hour excursion that covers both Buda and Pest. You’ll be treated to a bowl of goulash in a charming garden restaurant at the end to supplement burnt calories. Rest points are well spaced so you won’t exhaust yourself during the ride. Tour dates & time: 15. March – 15. October: every day at 10.30, From 15. October we offer scheduled tours on Friday-Saturday. Price: full price: 27 EUR, students 25 EUR. 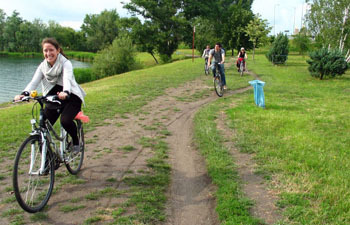 You’ll be riding on easy-to-use 24-speed trekking bikes, helmets, child seat are provided and incuded in the price. Bikes for children are also available so the whole family can do tour. 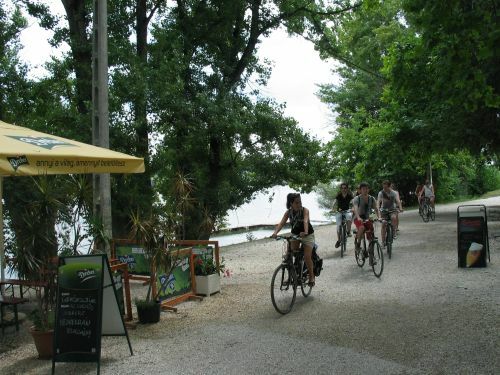 Szentendre is a picturesque artists’ town in the Danube bend 22 km north of Budapest. 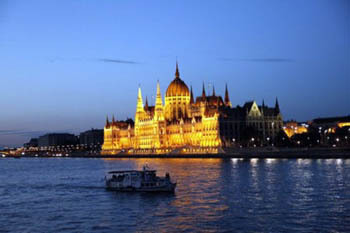 come back to Budapest on a scenic river cruise by boat (ticket is incl. in the price). Tour dates & time: every day at 10.30 between 15. March – 21. October, Duration: 7-8 hrs. 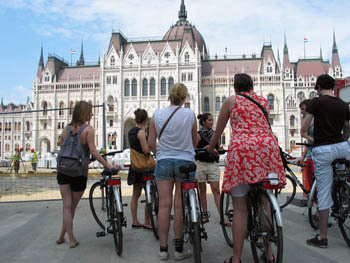 Read more about biking in Budapest. If you don’t feel up to pedaling hop on an e-bike and skip the sweating and panting! Convenient, fun and you can see most sights and feel the pulse of the city within a relatively short time. Tours available in various length. 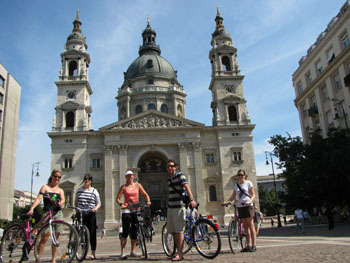 or read more about electric bike tours in Budapest. Discover the city on a running tour: you will explore the beautiful sights of the city (Buda Castle, Gellért Hill, the Danube riverbanks) including some hidden gems few know about. Get your running shoes and experience Budapest in a unique way! Find out more on Running Tours in Budapest. Hungary’s capital offers unique caves to explore besides the Labyrinth system in Buda Castle. The ground under the city full of caverns, tunnels and caves. You can see this hidden natural treaures on guided tours in the Szemlőhegyi and the Pálvölgyi caves. 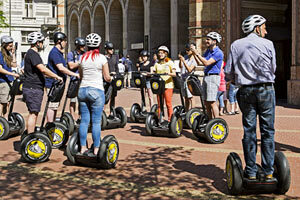 The Segway is the first of its kind, a self-balancing, personal transportation device designed to operate in any pedestrian environment. 1 – 2 hour tours with max. 12 people so you can count on a great, intimate experience. Discover what it’s like to be a Budapest celebrity as everyone, turns to watch you glide by! A quick and exciting way to cover all the must-see sights of the city center. Professional training and guiding in English are included. Small group tour, max. 12 persons. TIP 1: Pick a Special Budapest Tour to explore the city the way you like it. 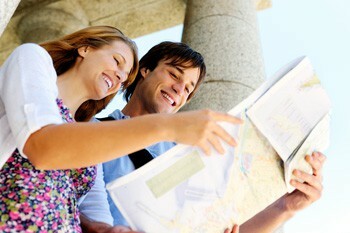 These unique tours are tailor-made to your wishes allowing you to enjoy the city more freely. TIP: Check out also the English language guided tours during the Cultural Heritage Days on weekend in mid-September. See Budapest as the birds do! Hop on a plane and admire the breathtaking panorama of the Danube, the bridges and the two city parts from the air, onboard a comfortable aeroplane. 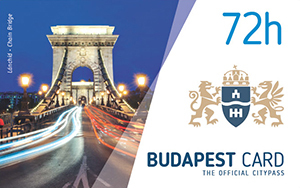 Transfer to Budaörs airport and back to the city is included along with a glass of welcome champagne and a complimentary video footage of the program (recorded with a professional camera) to take home as a memory.